Starting out as an animator at the studio now renowned for Dragon Ball Z, the early days of Mamoru Hosoda’s directorial career were spent in the company of powerhouse franchises Digimon and One Piece. International attention first came calling for Mamoru Hosoda, however, after a move to Madhouse Inc. and the release of time-travelling romance film The Girl Who Leapt Through Time. Twelve years later, Mamoru Hosoda has not only earned a global fandom with award-winning films like Summer Wars, Wolf Children and The Boy and the Beast, but has also started a family. It was those experiences that inspired his fifth independent feature film. 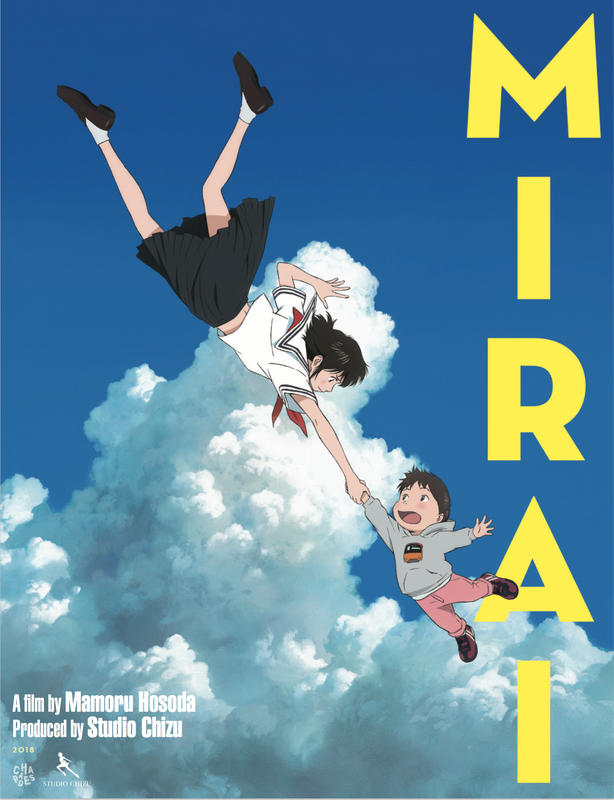 The story of a family adapting to the arrival of a new baby, through the lens of a four-year old boy, Mirai holds the honour of being the first anime film to premiere at the Cannes Film Festival. Ahead of the film’s release in the United Kingdom and Ireland next month, I had the opportunity to talk with Mamoru Hosoda about Mirai, the formation of Studio Chizu, and family. Questions are in bold. What inspired you to make “family” a central theme of your recent films, and are there any relationships you’re hoping to explore in a future one? Yeah, people think that the films are family-centric, but actually what I try to make movies about is childhood. How children are growing up, and how they change along the way. But obviously when you’re working on a movie about children, that should involve family. Here, I wanted to make a movie from a small child’s perspective of the world. I actually get asked, “Okay, so the central characters of your movies are getting younger and younger, so how young are they going to be for the next film?”. I think four years old is the youngest I think it will go! With your experiences as a father inspiring Mirai, do you think it’s important for an artist to reflect a part of themselves in their work? I think it’s not about importance; it’s more like a necessity. As it happens, when I was younger, all the people I was influenced by were artists, like painters from way back in history, or filmmakers in different countries – people who are far away. So I used to find that whatever was happening around me was mundane, and the grass always looked greener! But nowadays, what influences me are my wife, my kids and my everyday life. I actually wonder why I used to admire these people who are far away..
Also, I came across with an idea that they used to create something out of their own lives, so I think that what you may find mundane in your everyday life, actually aren’t and they’re all kinds of things you can take inspiration from. So, I think it’s more like a necessity that my experience is reflected onto my art. 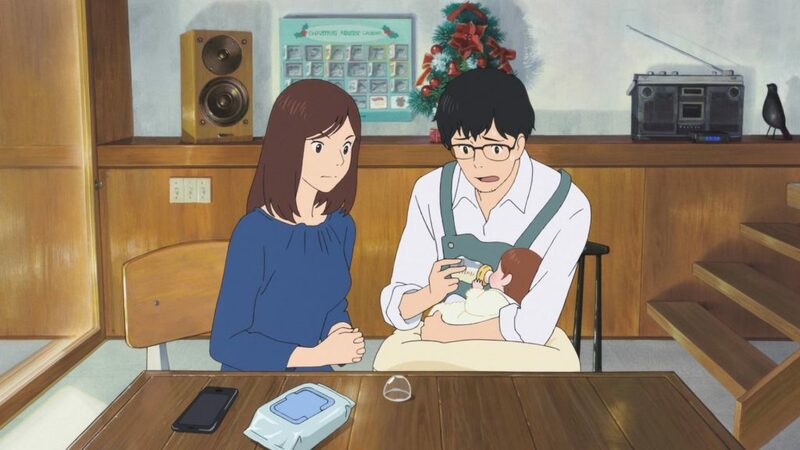 I really liked the depiction of Kun’s parents in the film, as they had their own struggles with the arrival of Mirai. What inspired their dynamic and development in the film? Thanks for your observation. Many of these dialogues are based on actual discussions I had with my missus! In movies, normally parents are really mature, proper and they’re bringing up immature children. But in real life, it’s not like that and I think your parents are not necessarily as mature as you, or they, would like to think. Especially when you have your first child, you don’t know anything about bringing up kids. Parents are learning, and I’m learning as a parent as well. So, you struggle with a balance of your life, work and kids, and you do struggle. I think that’s pretty much the reality of working parents anywhere in the world. Parents are also vulnerable; they’re not perfect and they know it. I’m not perfect, and I feel vulnerable as a father, so please be nice to us! The way both Kun and Mirai move really captured how real children move, like Kun contorting his body during a tantrum. How was this captured for the film? Thanks for noticing that! I observed my young children with a lot of care; if you don’t do it properly, you might notice a small adult in the movie, which isn’t right. I have to bring up the reality for these children, which isn’t necessarily the reality for us. For the movement, I brought my kids to the studios a few times. Not only did they [the animators] do sketches, but I had them to hold the baby, and the boy, to see how it feels. How light they are, to touch their cheeks to see how soft they are, their hair etc, so they know what to bring out onto the screen. I think they did a really good job! While I don’t have any children of my own at the moment, I do have a baby brother and some of the little things really impressed me. Like when Mirai sat up, her family had to support her head so she wouldn’t topple over, which is the kind of thing I used to have to do with my brother. Good to know – nice to hear that, because you don’t need to be a parent to appreciate that. If you have younger siblings, you know what it’s like. Also, everyone has been four years old, so if the film can remind you of that, that would be great. I’m actually an only child, so I never thought I’d make a movie about a brother and sister, but there you go! Young Kun isn’t the only one who struggles with the arrival of baby Mirai. Following the release of Summer Wars, what motivated you and Saito-san to form Studio Chizu? We met when we made The Girl Who Leapt Through Time, through [Masao] Maruyama at Madhouse, where we did Summer Wars as well. So, when we were making the next film, Madhouse was in danger of being bought by someone else, and were financially struggling at the time. I thought we had to have a secure place to make our movies, so we set up Chizu together. It’s a small studio, so small that you can actually have a typhoon and the office might just go somewhere, but it’s ours. Should I say something more impressive? Maybe you’d like something like “We wanted artistic freedom, or something like that.” So, you can change that! With your films appealing to broader audiences than most would consider for anime here, do you think it’s important for films to appeal to more than just the typical otaku market? Yes, I believe in the possibilities animation has as a method of filmmaking, to create good art. Say for example, with Mirai, you just can’t have live-action – you can’t have a four-year-old actor and make it convincing. It’s just not possible. You can use CG, but that would look silly and a bit weird. I think in the UK, animation is thought as kids’ entertainment, or for otaku, but I hope that as you said, the story appeals to a broader audience. I hope people find the possibilities of animation, what they didn’t know and I hope people look at it [Mirai] as a good drama from the point of view of a four-year-old boy. It’s a story about a small family, but it’s talking about life in general, and the relationships of people. As an example of how your films have already done that, my step-dad is very old-fashioned and doesn’t like animation for some reason, but I remember one Christmas morning, I managed to persuade him and the family to sit down and watch Wolf Children. Everyone, including him, loved it. Having previously directed Digimon and One Piece films, would you be open to more franchise films in the future, or do you prefer original stories? I’m open for anything – I really am. I’m really interested in what’s around me at the moment, so I tend to focus on family. But I don’t want to limit myself to that and any material is welcome. It doesn’t have to be Japanese; it could be from anywhere. What I don’t want to do is make movies that appeal just to the Japanese audience. I definitely want more people to look at my movies, and I want to make something that will appeal to a broader audience. I do wonder what materials would be good, and I’m constantly thinking about that. Mamoru Hosoda previously directed Digimon: Our War Game, which inspired his later film, Summer Wars. 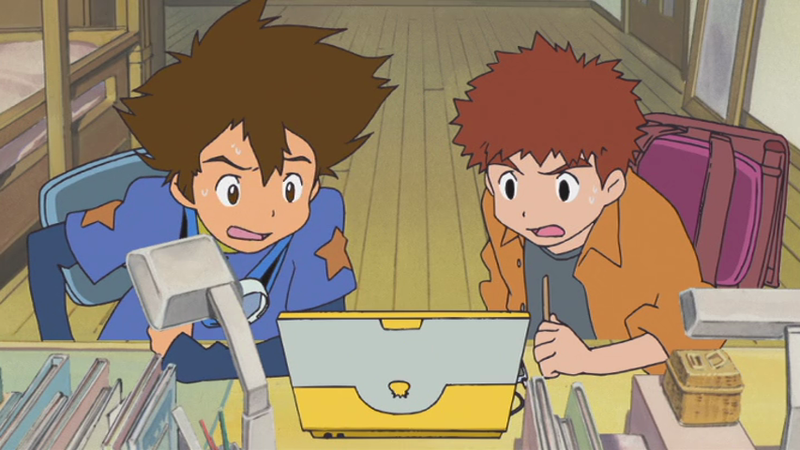 The 40-minute film was compiled into the western-original Digimon: The Movie. Like how Kun learns lessons from family across time, if you could leave one lesson for future generations, what would it be? What I’m probably trying to say here is more like a broader message to society, not just to children of the future. When you look at Mirai, I get comments that kids should be more disciplined; they shouldn’t be running around, or shouting, bla bla bla. But I think that’s a bit too old-fashioned in a way. I think back in the day we used to play in roles. Say you’re playing the role of your dad, this is how a father should be, and as a child, this is how a child should behave. So I was really quiet to help please my Mum and Dad, but I think social roles people have to play were far more important than being individual to that extent. So I think giving children a bit of freedom or independent thinking, would benefit the whole of society. It’s not necessarily right to discipline them or make them obedient to the parent; it’s not always good. That’s what I was thinking when making the film. Thank you. It’s been a fantastic opportunity to talk to you; I’ve been a fan of yours for many years, and I’m looking forward to seeing Mirai and more in the future! I hope you enjoy the film, and I really enjoyed the interview. It was nice talking to you. “The Works of Mamoru Hosoda” Exhibition will run from Saturday 13th October until Saturday 20th October. The latest film from director Mamoru Hosoda is coming very soon! We recap everything you need to know in preparation for its theatrical release! The wait is almost over and Manga Animatsu have some more info provided for these special Mamoru Hosoda re-releases.